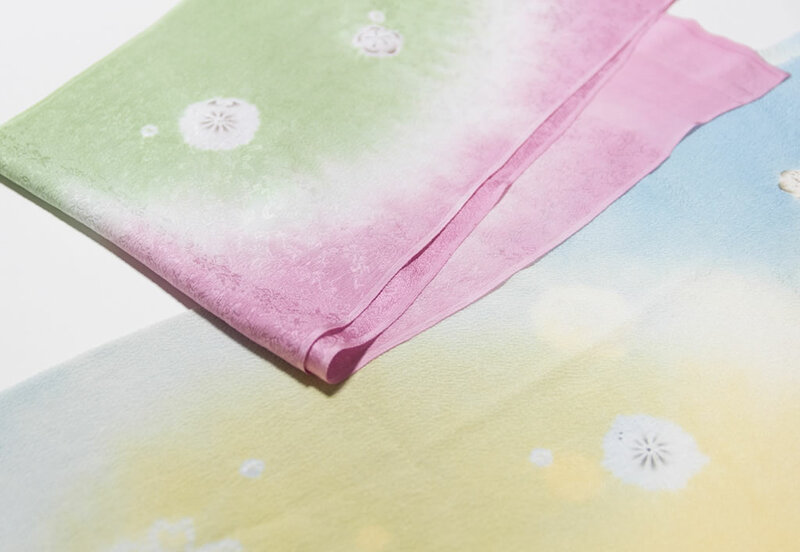 This workshop allows you to make a unique obiage from a piece of Tango chirimen cloth by using tsujigahana dyeing techniques, such as hitome-shibori, kasa-shibori or boshi-shibori. Here you can try your hand at different steps of the working process : after binding the pattern already traced on a piece of cloth with threads, you will dye and unbind it. You can even start the experience by tracing the sketch of the pattern yourself. Have fun making your own unique souvenir! Your obiage will be sent to you after steaming (necessary for colour fixing) and ironing.